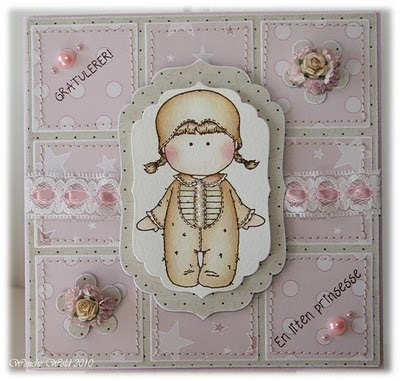 Thanks to everyone that took part in Emma sketch last week we loved seeing all your fabulous work, dont forget to check the previous post to see who has one the challenge and also Emma's top 5. 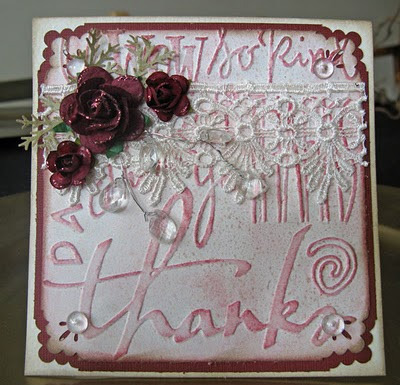 This week i Kirsten would like to see EMBOSSING in any form you like. 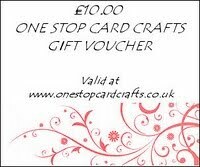 One lucky entry will win a £10.00 Voucher to spend in there online shop. 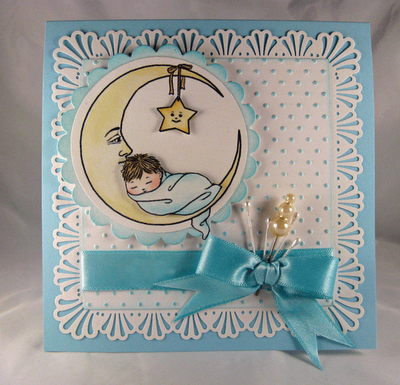 The D.T have all come up with stunning cards please pop over to there blogs to check them out. Wow there were some absolutely fantasic entries last week glad to see you liked my sketch!!! Hi everyone and welcome to another Saturday installment of Allsorts! Whats the challenge I hear you cry! Well this week we have a sketch made by me (Emma) I would say as usual you are free to rotate it but I think this one is pretty much the same no matter how you look at it.....lol! Winner and Top 5 for button & lace. Thank you all so much for taking part in last weeks challenge. Well done Sammibug you can pick 3 images of your choice from there online shop. Well done girls, don't forget to add your badge & wear with pride. Hello again crafters, Fleur told you I would be back with some exciting news and I really can't hold it in any longer, so what is all the mystery ? Well this is so very exciting as we can now announce the imminent launch of the Official Penny Black at Allsorts Challenge. I am just thrilled that Penny Black have invited myself and Allsorts to work with them and create a brand new challenge dedicated to their wonderful world renowned stamps and products. I would like to take this opportunity to extend a huge thank you to Penny Black for making all this possible and also to Elizabeth, a member of the companies US Design Team, for working with me over the last few weeks to get everything organised. Not surprisingly all of us at Allsorts are very happy bunnies and can't wait for the start of the challenge on 1st July. 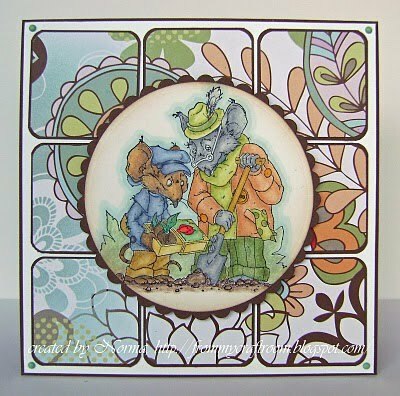 Penny Black need no introduction so the opportunity to have a blog dedicated to their products is fantastic. You can click here to go straight to the new challenge blog and read more about it all. 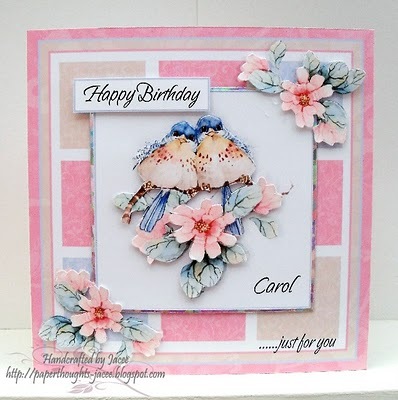 You can also visit Penny Black's great web site where there is loads of inspiration and join their club so you are right up to date with new releases and other news. Plus they have a fab blog with great inspirational work from their design team. The challenge will be monthly and and as you might expect, all prizes will be Penny Black products provided by the company plus we will have a Top 3 every month selected from all qualifying entries. You can join the new challenge blog right now by clicking here so you don't miss a thing and are one of the first to know when the new challenges are posted. 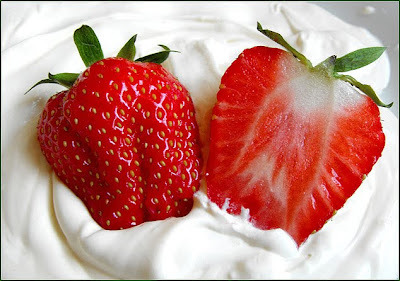 Thanks to everyone who entered Brenda's Strawberries & cream theme. This week it's me Fleur who gets to set the theme & I'd love you to use Lace and/or buttons, I'm sure we've all got something in our stash we could use! *Wink *Wink Ink is a brand new digital stamp company as of January 2010. Our images are original, well drawn, and clear with a style you won't find anywhere else! If you like animals, children and fantasy creatures you will love our stamps! New stamps are added to our store weekly, so there is always something new to see! All images are 300 dpi and come in 3 versions- black and white jpg for coloring, transparent png for layering on all your digital creations, and a colored jpg for use as a coloring guide or print and embellish for quick beautiful projects in no time flat! We hope you stop on by and visit us soon at http://www.winkwinkink.com/! And a message from Brenda who has asked me to tell you all that she will be posting some mega exciting news next week, so please "watch this space". why not pop over and take a look at their blogs! 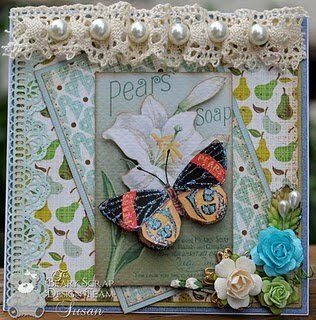 Happy Saturday all you crafters and welcome to another challenge at Allsorts where it's my (Brenda) turn to host the challenge again. Where I live in the Cambridgeshire Fens, the arrival of strawberries in late May is always an eagerly awaited event in the produce calendar, so for my theme this week I want you to draw inspiration from the pictures below. You don't have to put strawberries on your project, although of course you can if you want and you can use other colours for skin, hair etc., but the main ones should be taken from the pictures and I have given you two to make things a bit easier. 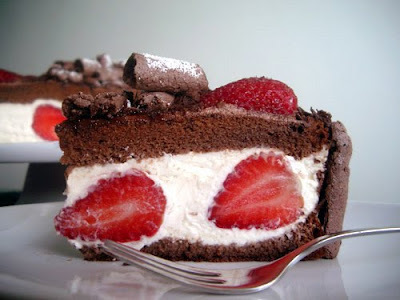 Above a cake I made for crafting research........such sacrifices and of course I had to try a piece to ensure the picture was fit for blog publication and below a simple bowl of strawberries and cream.......and everything is calorie free of course. and Sally-Ann will be offering our lucky winner a choice if £10 value digital images so you will be absolutely spoilt for choice from all the wonderful images she has available. 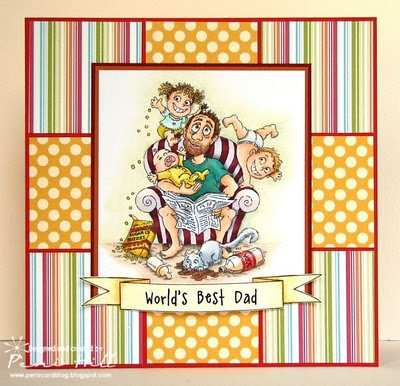 As usual we have some wonderful inspiration from the Design Team, details of how their creations were made and products uses can be found on their blogs, juct click on their names to go to them.